It is good, I promise. And you know I wouldn’t lie to you.. This recipe has been on my list for a while, I spotted it over on 17 and Baking and it totally made sense to me. Rich dark chocolate and smoky bacon with a hint of saltiness – and we all know the food world is crazy about salt and sweet right now (salted caramel anyone?). 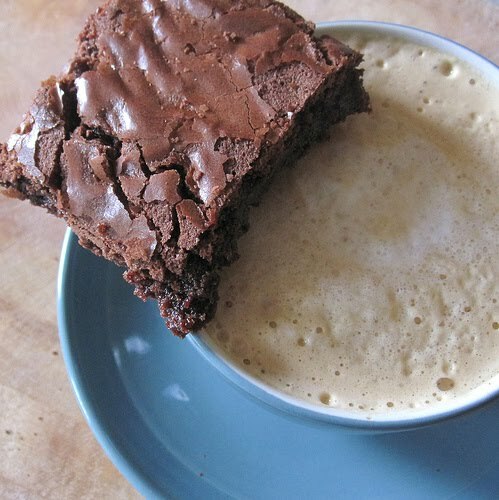 It is not miles away from the classic bacon and maple syrup combination, you get a nice hit of sweet and a nice hit of salt, but with the brownies you get the dense dark chocolate too. I make brownies quite often, I have one recipe which I like to stick to but I’ve been keen to try new ones, the best thing about brownies is that there are so many great recipes out there offering something different but also still giving you that quintessential brownie – gooey and crispy. This recipe obviously offers something completely different! It did feel very weird putting bacon into a brownie mix but I stuck with it and I was not disappointed.Try to use the best quality streaky bacon or pancetta you can find, anything cheap will leach out too much water and your brownies won’t be good. It should also be smoked. I used good quality smoked pancetta, this crisps up well and won’t be filled with water. 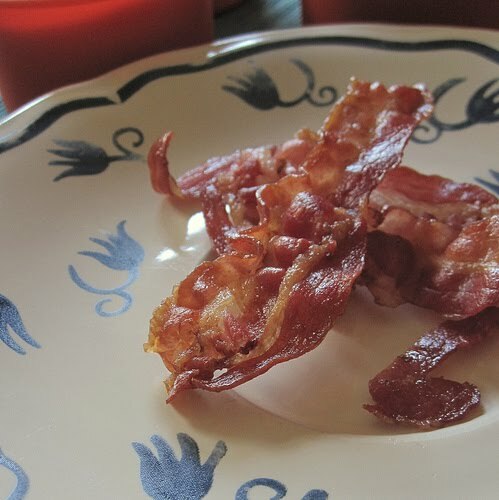 Heat your oven to gas mark 5 / 375f / 190c.Heat up a frying pan on the hob, once hot add your strips of bacon. Fry on each side for a couple of minutes or until nice and crispy. Transfer to paper towels to crisp up further and drain the fat. Once the bacon is cool cut or tear up into small pieces, about 1cm wide. 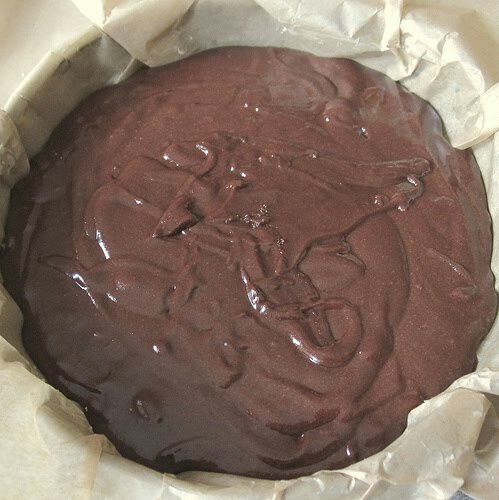 Put the chocolate, cocoa and butter in a heatproof glass bowl and heat gently over a pan of simmering water. Stir frequently until everything is melted and combined. Remove from the heat and allow to cool for a few minutes. 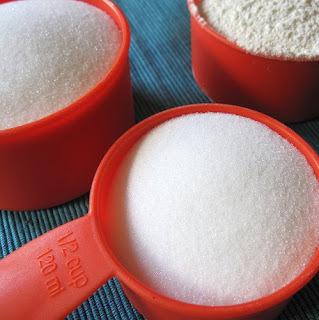 Whisk in the sugar and vanilla, then add in your eggs one by one, stir to combine. 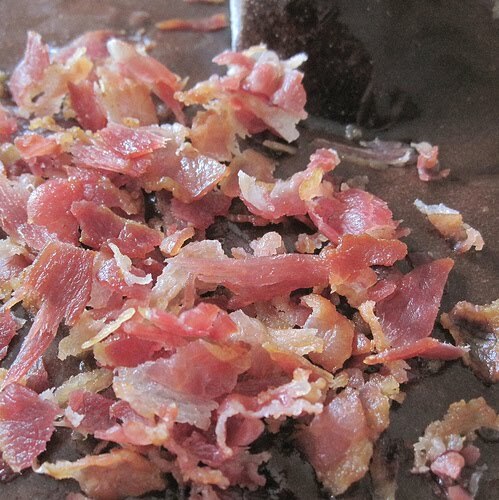 Sift in the flour and baking powder and then stir in the bacon. Add to a grease and lined cake tin or square cake tin (better for brownies, I need to buy one!). Bake for 30 – 40 minutes on the middle shelf. 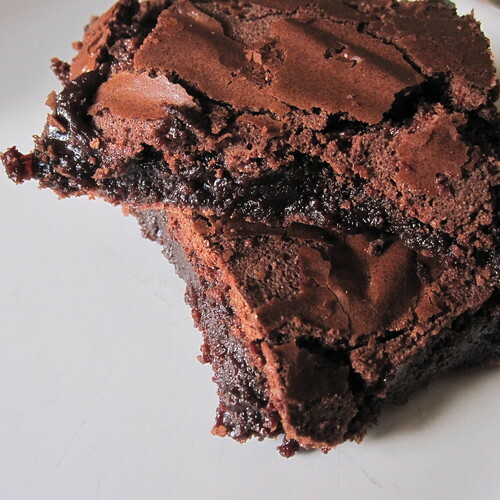 Your brownies are done when a skewer or knife comes out clean when inserted. Remove from the pan and leave on a board or wire rack. Let them cool completely (sneak a crispy corner if you can’t wait!) before cutting into squares. Store in the fridge, bring back to room temperature to eat. I had mine with a nice strong coffee, this motivated me for the rest of the afternoon! Serve to friends (not vegetarians though!!) and don’t tell them what is inside, let them guess – I bet they won’t know! Goodness! That has me drooling, I can nearly taste it I am assuredly going to make these! They are in teh oven right now!! !